"So rather than any state of material abundance, Super Rich actually refers to living in a state of consciousness where you’re able to see the miracles of life unfolding in front of you all time." Even if you don’t immediately recognize the name Russell Simmons, don’t be surprised if you’ve crossed paths with some of his success stories. The Hip-Hop lifestyle is synonymous with opulence. Cristal champagne, a fleet of Rolls-Royces in the driveway, jewellery by Van Cleef & Arpels, and homes on both coasts. 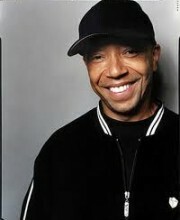 As, “the Godfather of Hip-Hop”, Russell Simmons is no exception. So it was with some astonishment as I began reading Simmons’ second book, Super Rich: A Guide to Having it All, that I quickly discovered that Simmons’ idea of “having it all” isn’t at all what I thought it would be. "When you have a rich spirit, you’re already rich. You won’t need anything else. When you can be happy and comfortable in every position, or situation, that you encounter in life, then all the obstacles that you perceive as standing between you and happiness will gradually disappear. It will become easier to fill your life with friendship, laughter, love, and yes, for those who still desire it, money." When Simmons was pushing the Hip-Hop group, Run DMC in the early 80s, it was not out of a desire for fame and fortune; it was purely to bring his passion for the Hip-Hop genre to as many people as would listen. As I write more and more summaries for Actionable, I’ve noticed a common denominator that runs through each of the books I have read: passion. Whether we’re talking about the success of Martha Stewart, or Russell Simmons, passion was key. Without passion, Simmons simply would not have had the desire nor the drive to bring the music he loved – the music that changed his life – to as wide an audience as he did. Sure, fame and fortune, and yes, the material possessions, came along with that success, but those weren’t the driving forces; they were merely the by-products of his passion. "If you ain’t giving away your gift, then you ain’t in the game. And if you ain’t in the game, then you’re never going to win." Simmons writes: “At that time the labels were only looking for records similar to chart toppers like Prince’s ‘When Doves Cry,’ or Lionel Richie’s ‘All Night Long.’ These were the types of records the labels though would sell and, as a result, were the only types of records they wanted to invest their money in.” So what did Russell Simmons do? He gave the music away for free. He gave free copies to DJs who might play it on the radio, and each night he’d hit the clubs and got them to spin it there. The patrons were enjoying the record. That much was immediately obvious to Simmons who could see their reactions. But Simmons knew that it would take more creativity to get an even wider audience. He had new copies of the record pressed, this time emblazoned with Polygram’s logo. Polygram execs was confused when they were suddenly inundated with calls from record stores looking for more records by “Kurtis Blow”, an artist they had never heard of… despite the fact he supposedly signed to their label. Polygram finally tracked Blow down and handed him a record contract, all because of Russell Simmons’ ingenuity. For a more recent example, Simmons cites Drake, who created buzz by releasing his music online for nothing. A war to sign him between several labels ensued. Justin Bieber is another artist who only a few years ago had aspirations for the big time. He posted videos on YouTube and caught the eye of both Usher and Justin Timberlake, two superstars in the music industry. Bieber signed up with Usher and the rest, as they say, is history. But giving away your product for free isn’t limited to the music industry. If you’re a writer, start a blog. You get the idea. Just get your product out there. "One thing that holds many people back from becoming great workers is a misguided belief that only certain jobs are worth of their “A game,” or maximum effort." Right now few of us are exactly where we want to be in our careers. However, every job you do is a step on the ladder towards the top, that top rung being where you ultimately hope to see yourself. Nevertheless, as Simmons points out, very few of us look at it that way, and not acknowledging this is very detrimental to one’s success. Therefore, as many of us might consider redefining our understanding of “rich”, we might also need to adjust the way we perceive our current career status. Each job we do is an endeavour that should be performed to the best of our ability, in order to glean all we can and grow into the person we want to be. Simmons cited a young man who came up to him and asked for advice on fulfilling his dream to become a movie star. Simmons said that if he really wanted to be successful, he would have to hop on the next bus and head out to LA; he wouldn’t make it as a movie star anywhere else. Appeals that he didn’t have enough money at that moment were dismissed by Simmons. His advice was to take whatever job he could to support himself on his auditions when he got to LA. Simmons later heard from the hopeful actor who started his new life scooping ice cream in upscale Beverly Hills. Although he wasn’t employed in his dream job, each ice cream was served with a smile and some friendly banter. In fact, the young man so impressed one customer – the manager of the Beverly Hills, Ralph Lauren – that he was quickly offered a job there. Again, he wasn’t acting in a film that would get his name in lights, but he was getting closer. Through his new job, he was allowed to borrow clothes for auditions and networking events. It was networking at a premiere that he was ‘discovered’ by director Brett Ratner who was so impressed that he hired the man for a television pilot. And to think, it all started with scooping ice cream with passion. 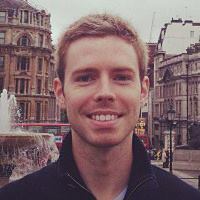 Super Rich: A Guide to Having it All is a quick, but inspiring read. Each page is so infused with Russell Simmons’ larger-than-life personality that reading the book feels more like an intimate conversation with a friend (who just happens to be a hugely successful mogul!) than a stuffy book. Some readers’ own beliefs may not align with Simmons’, who is a devout yogi and, as such, regularly references the teachings and beliefs of this practice in his book. Interestingly, Simmons credits yoga with much of his past and present success. As he writes: “If… you can accept that the toys and the money will only be the by-products, instead of the aim, of your journey toward enlightenment, then you will have positioned yourself to be truly rich. To realize your greatest potential.” In fact, you’ll become Super Rich.